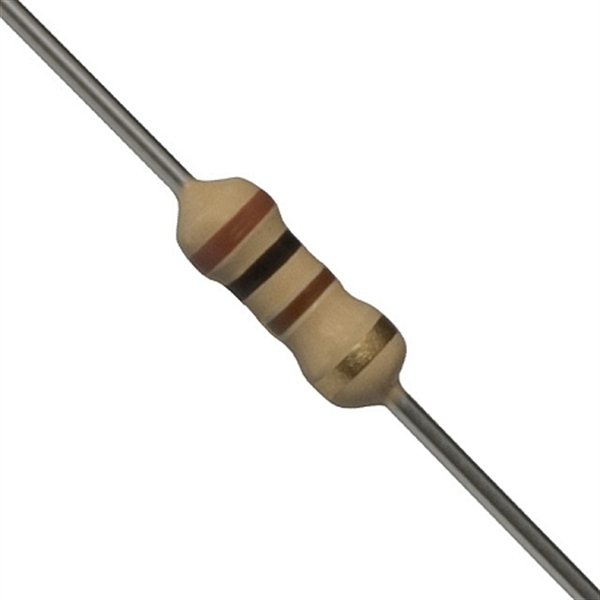 Compositions of color band(s) on a resistor is used to mark a resistor based on it’s ohm value. The first band of a resistor is it’s first significant digit value, the second band determines it’s second significant digit value. The third band determines it’s third significant digit value. 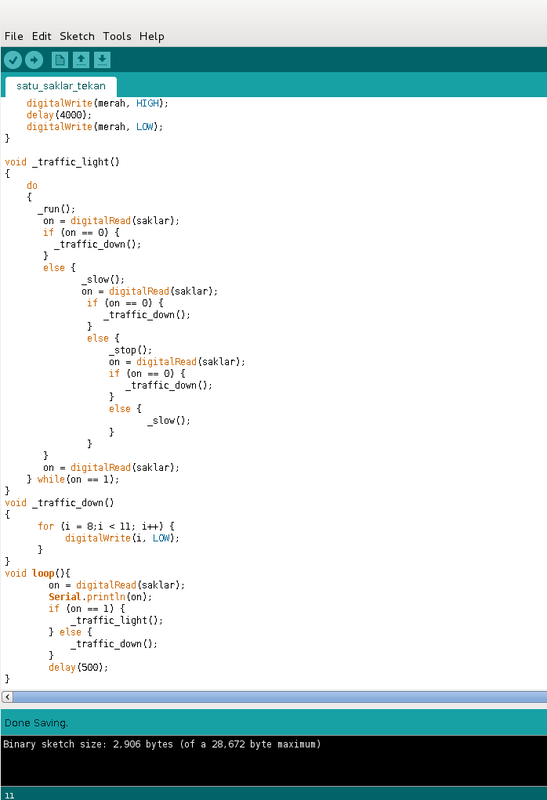 The fourth band determines it’s multiplier based on above tables. The last band determines it’s tolerance , if there’s no tolerance band means tolerance is 20%. There’s a gap between gold and brown, we can determine the first band is brown. The first band is brown = 1 , the second band is black = 0, third band is brown = 1, the gold band is gold means tolerance about 5%. Arrange first and second digit we got: 10, multiply it with 1 x 10 ohm = 10 x 10 = 100 ohm with tolerance about 5%. 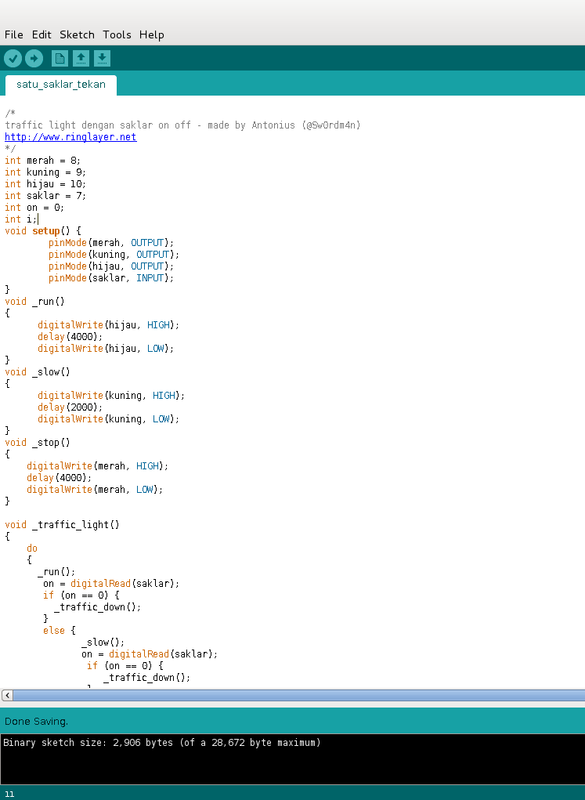 This entry was posted in Resistor on December 6, 2014 by sw0rdm4n. 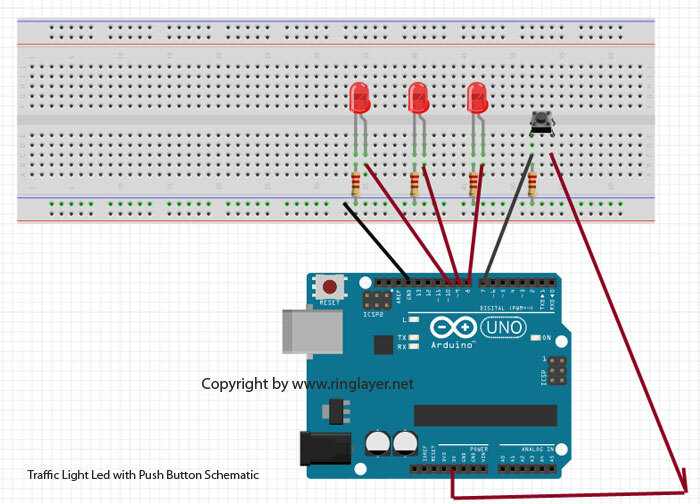 we use 220 ohm resistor for each led and we connect it to arduino using pwm pin 8, 9 and 10, connect 10 k ohm resistor to push button , red jumper wire for push button connected to 5v pin on arduino, meanwhite black jumper wire connected to pwm pin 7 on arduino. 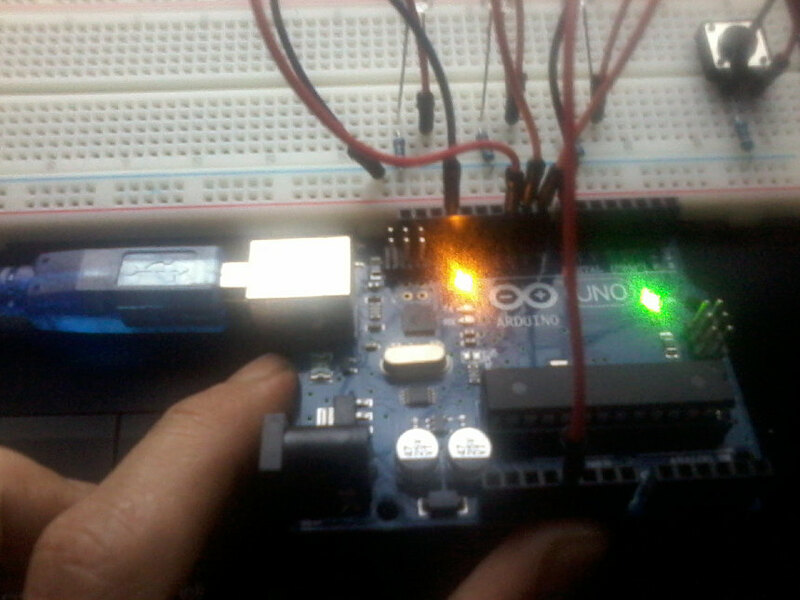 the last black jumper wire we connect to ground pin on arduino. We use breadboard here to make it easy, we don’t need to solder each component. 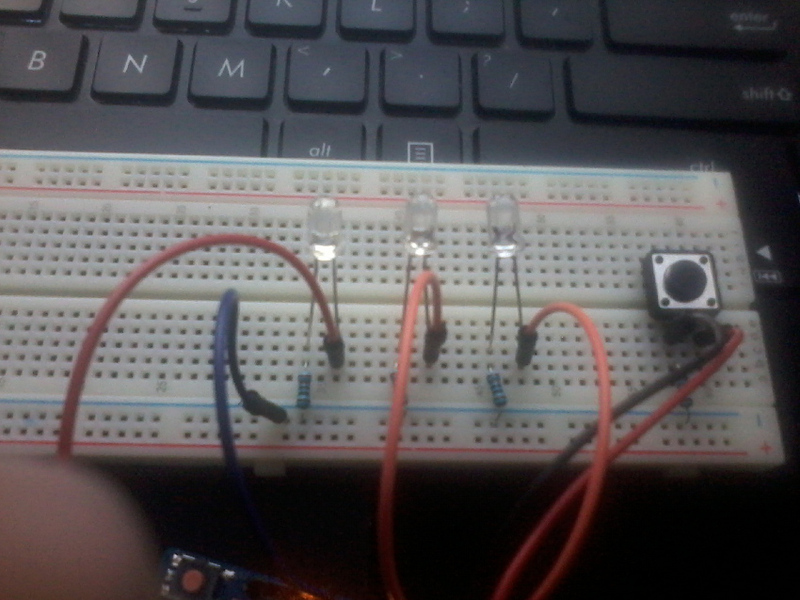 On success we can have a traffic light led that we can control with push button. 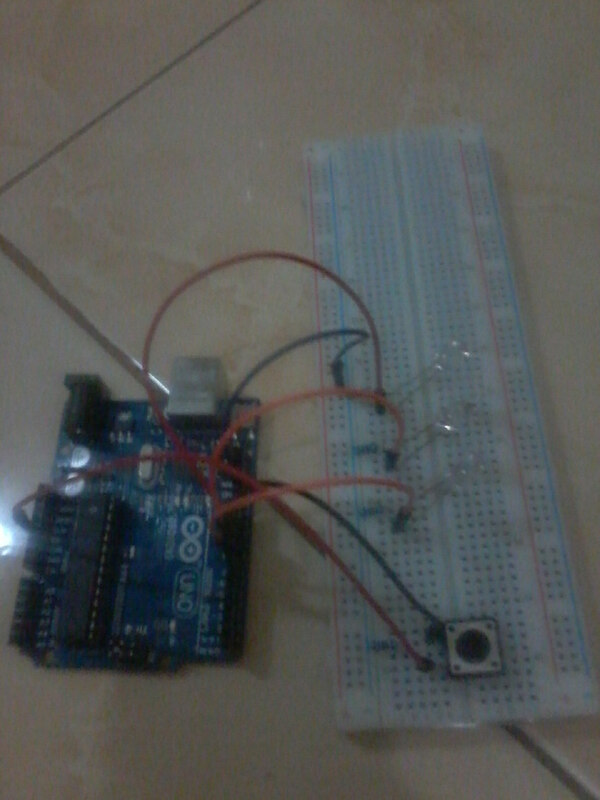 This entry was posted in Arduino, Fritzing, Microcontroller, Push Button, Resistor on July 15, 2014 by sw0rdm4n.